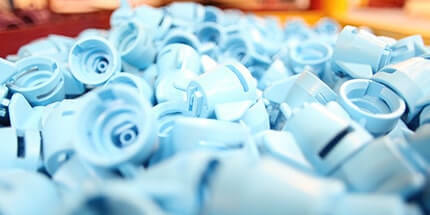 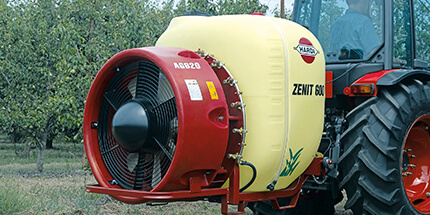 Easy to adjust and operate and low maintenance costs. 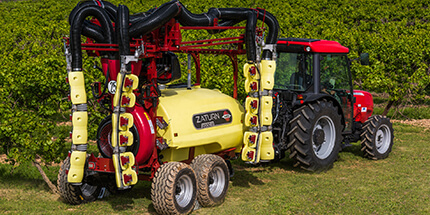 Setting up the ATLAS boom and spraying spouts is very intuitive. 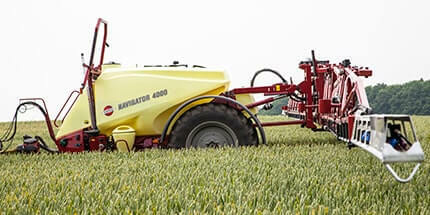 No special tools nor long explanations are needed. 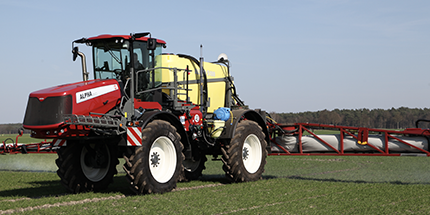 Every operator soon makes the few adjustments needed to gain the air and spray mix required. 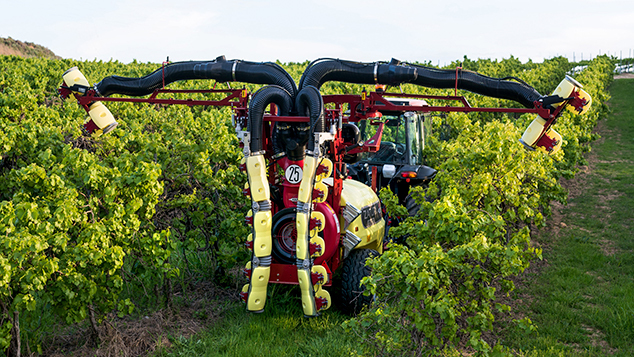 Most vine spraying tasks can be met. 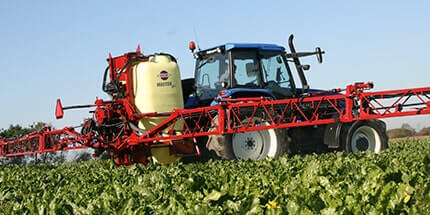 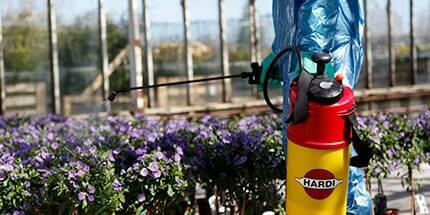 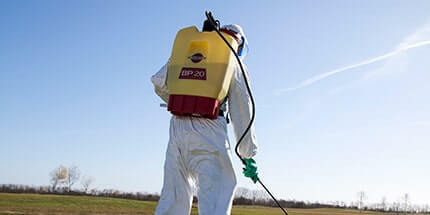 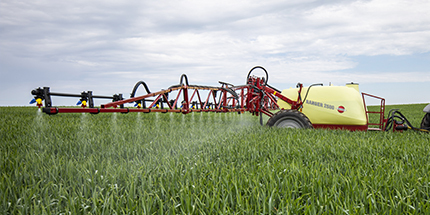 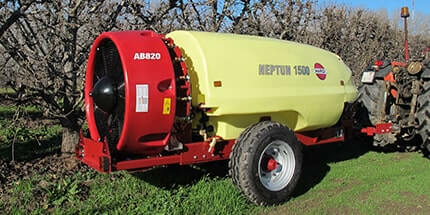 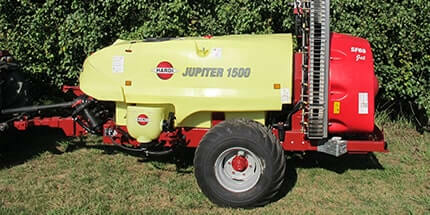 Early in the season when the vegetation is very open, sprays can be applied from just one side of the row. 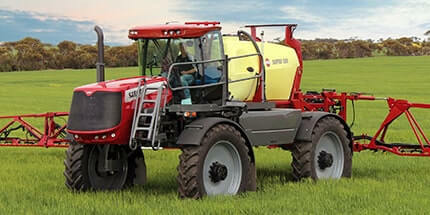 Adjusting each upper spout to spray both adjoining rows means four row spraying will be your normal practice. 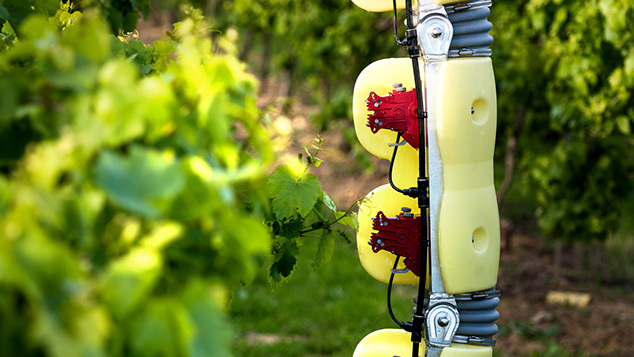 Later in the season, your vine vegetation will have greatly increased so the upper spouts can then be adjusted to spray just the two adjoining rows. 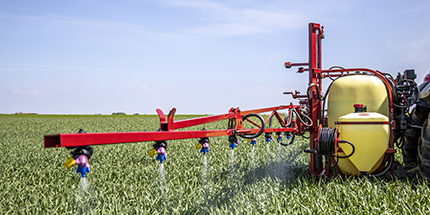 Spraying these rows from both sides ensures a complete and uniform spray cover despite a big increase in leaf and shoot coverage. 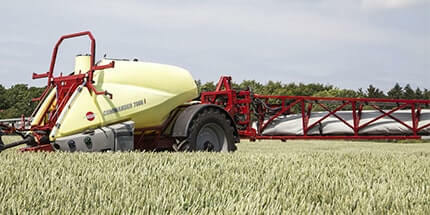 This boom has horizontal telescopic actions. 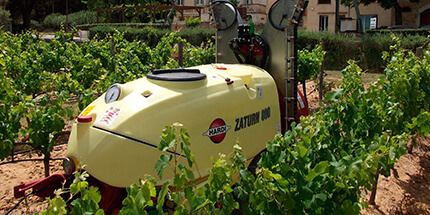 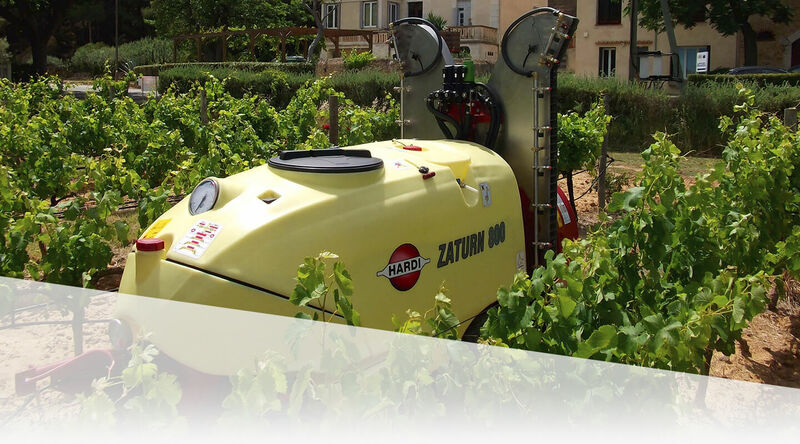 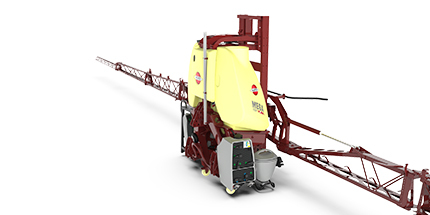 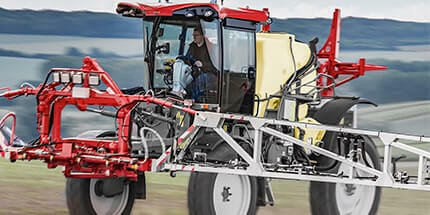 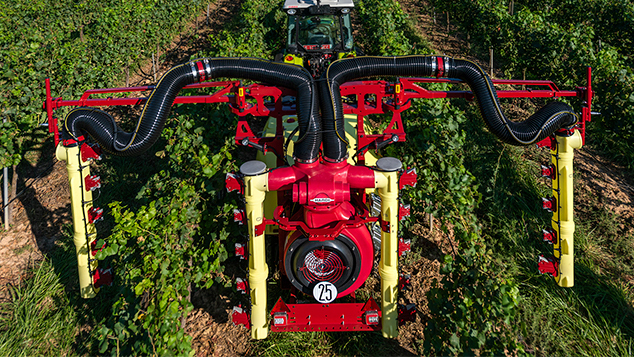 Telescoping to the desired row width, the boom ensure that most vine spraying needs can be met. 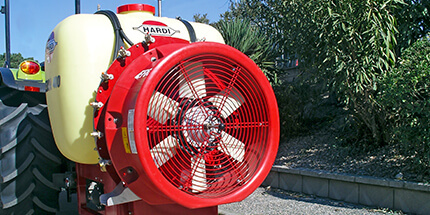 The central application device has a horizontal manual adjustment on left and right side. 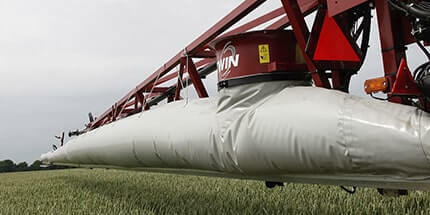 Outer boom wing sections fold out to the spray position when the telescopic sections of the boom have been extended.